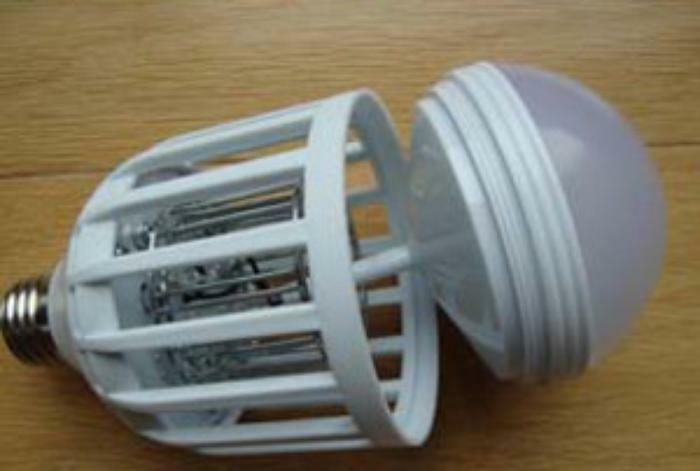 R & D Products of Wilmington, Del., is recalling about 3,700 Outxpro mosquito zapper LED light bulbs. The LED light bulb’s base can separate from the connector, posing an electrical shock hazard. The firm has received 18 reports of the bulb separating from the connector. No injuries or property damage have been reported. This recall involves all Outxpro 2-in-1 mosquito zapper LED light bulbs. The 10-watt bulb has a white grid housing that measures about 3.1 inches high, 3.1 inches wide and 6.1 inches deep. The grid housing has a blue light used to attract insects and an LED light below, for lighting. Item number DYT-80 and “Kinven” is printed on the product’s packaging. The LED bulbs, manufactured in China, were sold exclusively at Amazon.com from July 2016, through August 2016, for about $20. Consumers should immediately stop using the recalled light bulbs, turn off the power supply and contact R&D Products for a free repair, including shipping, and instructions for removing and replacing the light bulb. R&D Products will reimburse consumers if a professional electrician is needed to remove the recalled light bulb’s base. Consumers may contact R&D Products toll-free at 800-607-1848 from 8 a.m. to 5 p.m. (ET) Monday through Friday, by email at happytohelp@outxpro.com or online at www.outxpro.com and click on Recall Info for more information.